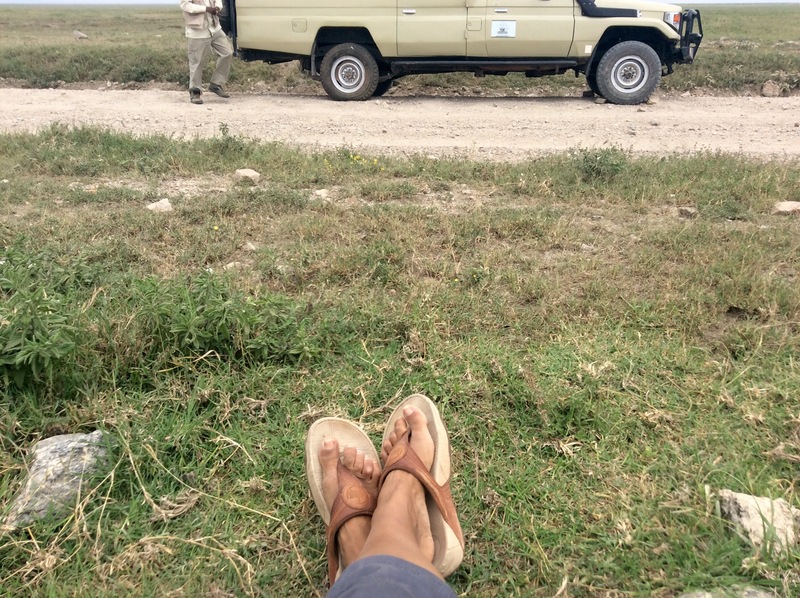 Getting a flat tyre is an inconvenience at the best of times, but having one in the Serengeti is positively suicidal. Although every vehicle has at least two spares, it is easy to use up both as the road is so bad. 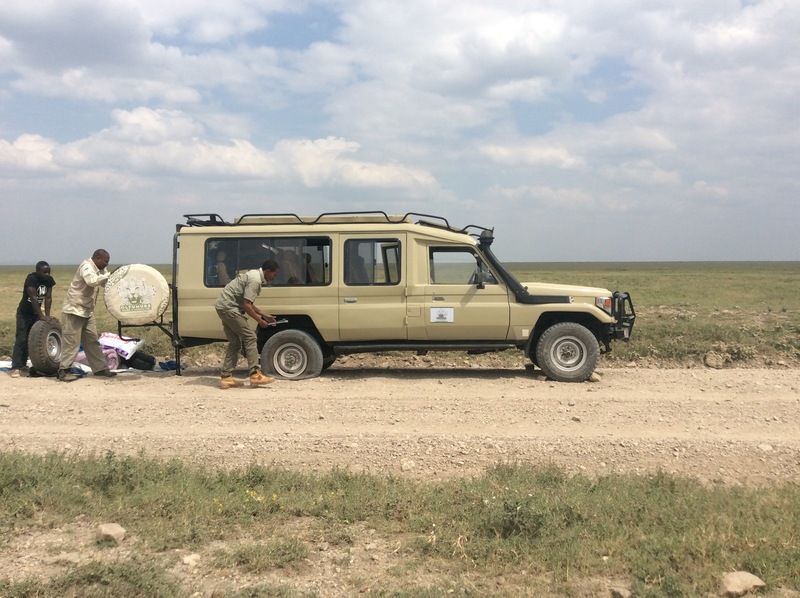 We bombed it down the dirt track flanked by the plains either side, then the vehicle started to pull to one side. Tyre one blew – flat as a pancake. Noel, the cook Gabriel and his helper jumped out. I scanned the horizon, the short grass thankfully meant we could spot an approaching predator. Feeding in the grass were wildebeest and Impala. 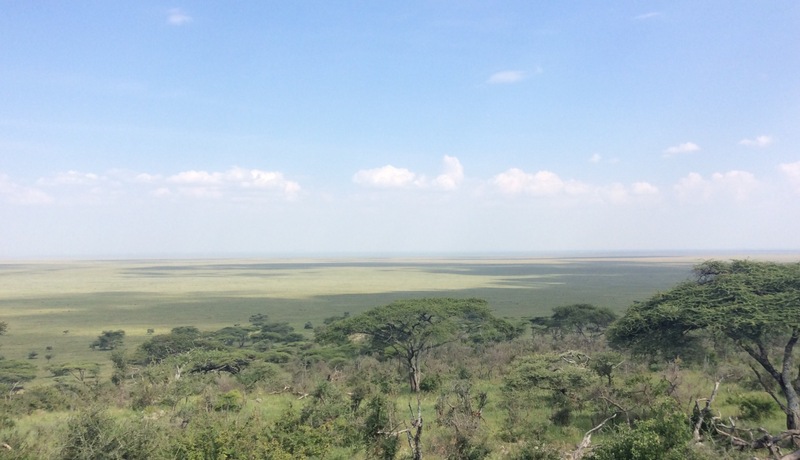 I wasn’t at the time wholly convinced we’d see many cats during the Serengeti safari. I’ve been on African safari many times and have always been left disappointed; but over the past two days I have lost count how many lions (males and females) as well as prides with cubs I have watched at close proximity. I opened the door to stretch my legs. Noel glanced up from under his armpit with his head half cocked to the side and gave me a look that a father gives a mischievous child. “Still wanna see simba (Swahili for lion)?” he teased me. “Keep looking behind you, Asha,” he cautioned. I have now been informed that Tanzania has one of the highest lion populations in Africa, but this info came to me a little late in the day. As I plonked myself on the grass to watch the men at work I smirked to myself. I must be one of a few people who has actually sat on the plains. Tourists are not supposed to get out of the vehicle. In ten minutes we were back on the road, I have never seen Africans work so fast. But before we had even covered another 10km the second tyre blew. This time I remained in the car keeping watch for the guys. What on earth will we do if this happens when we don’t have a spare? I’m assuming that it is part of park regulations that all vehicles must carry spare tyres while driving in the park, due to the dangers. 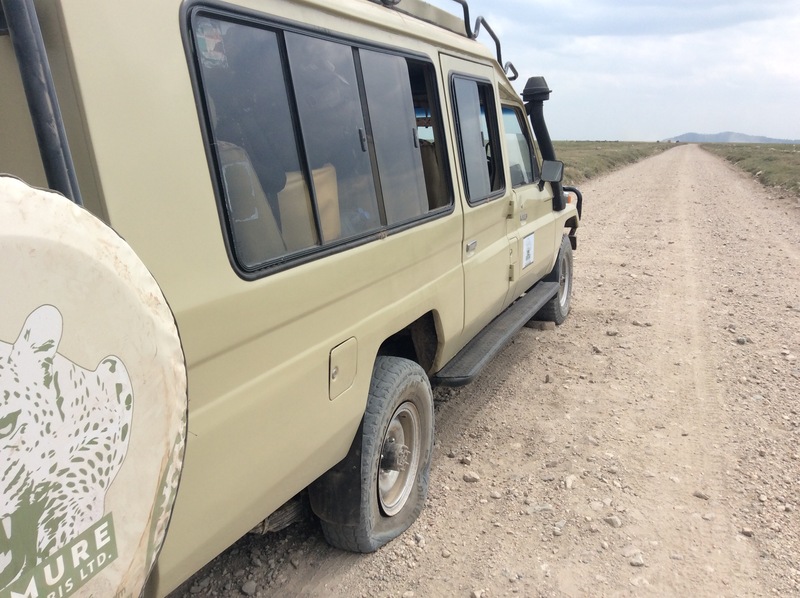 At registration we were entered the main stretch of the Serengeti with two new tyres on board.